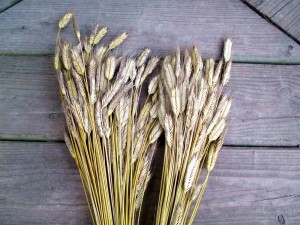 A very unusual type of Einkorn, also known as Sinskaya, that has grain that is “free threshing” from the hulls. This is a rare cultivar discovered off the coast of Turkey by Mikhailovich Zkukovskii (1926). 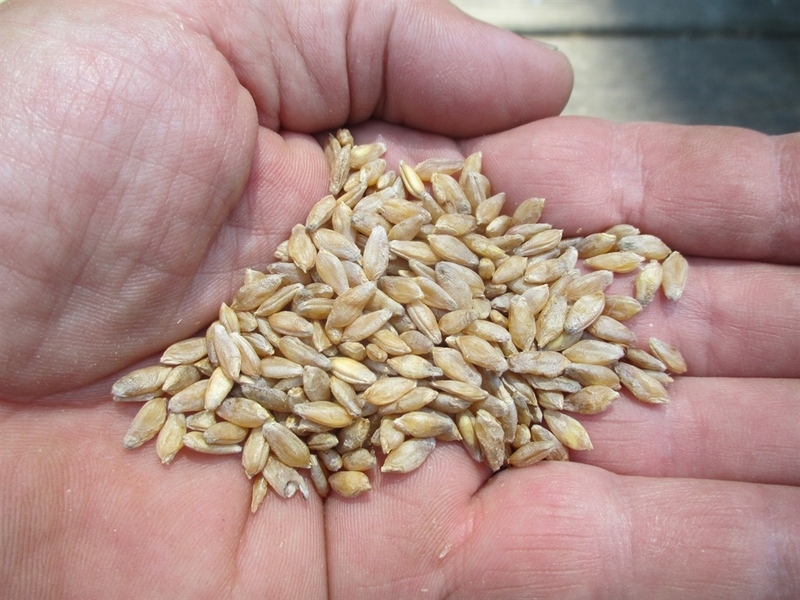 It is lower yielding than Hulled Einkorn. I found it to be very easy to thresh, and the grains are truly naked (hull-ess). 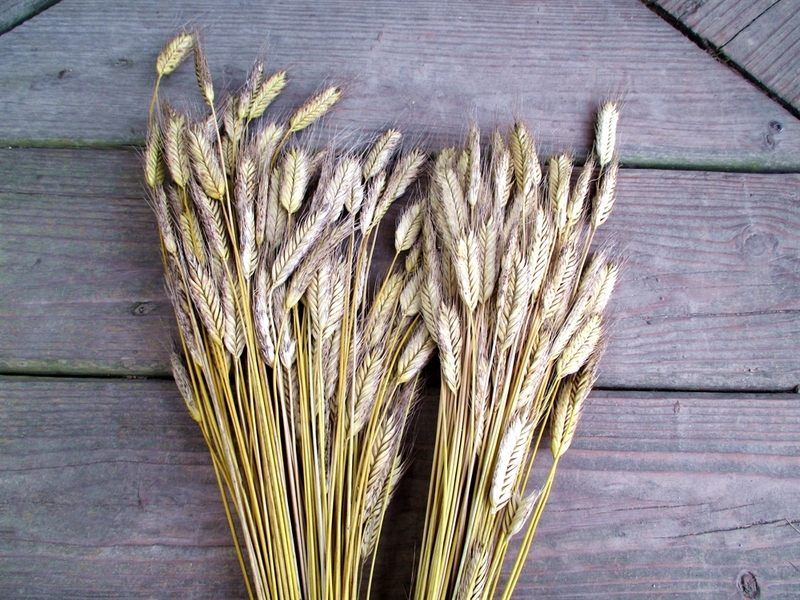 I did a lot of culling of diseased plants (yellow and die-back) this first season, and only saved seed from the most robust of plants with healthy grain heads. 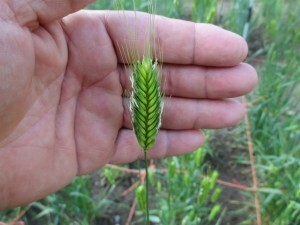 This variety had some minor lodging issues at the end of June, with the onset of heavy rains. I am growing Ble’ Dur Arcour out as a winter wheat for 2017. If successful, I hope to grow out larger plots of this for selection, in the future. *I am offering this seed for the purpose of preservation. Grain fill in my region (northern Indiana) is less than one would expect in areas more suitable to raising spring wheat (cooler and more arid). This variety will need selection and adaptation to improve grain fill, yield and disease resistance in regions with frequent spring/summer rains, humidity and heat. I recommend that you plan on saving your own seed!